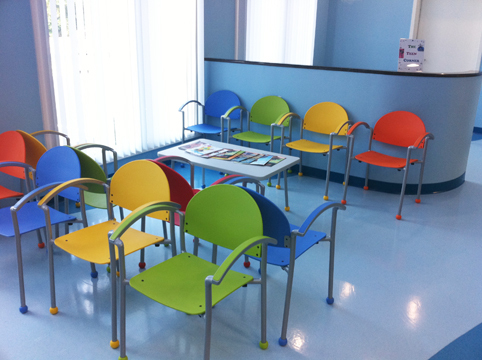 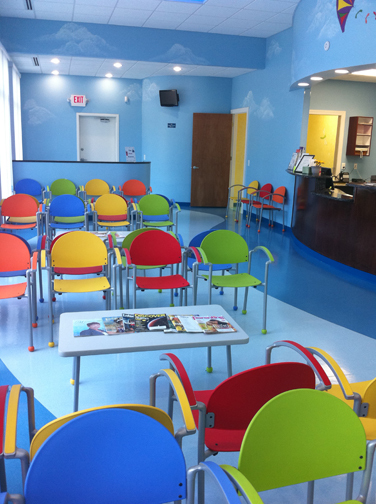 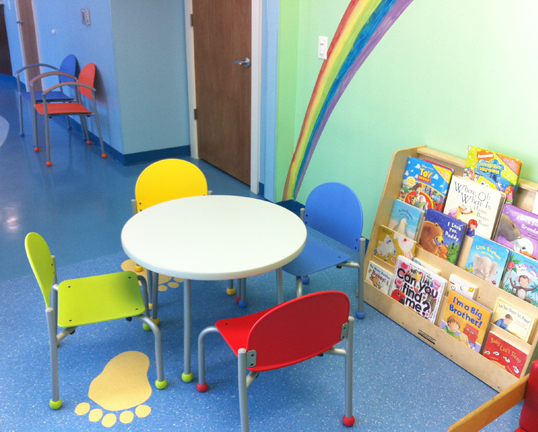 I had the pleasure of helping the office of Rainbow Pediatrics of Fayetteville pick out the bright colors of the Bola chairs for their beautiful pediatric office. 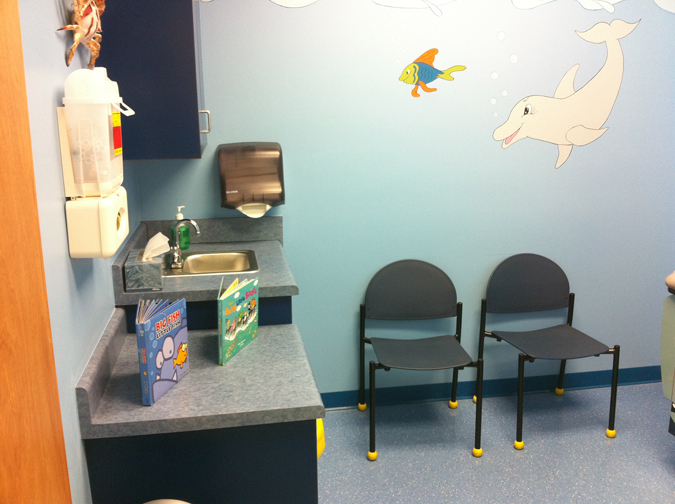 I love how the bright colors of the chairs are set against a blue cool background. 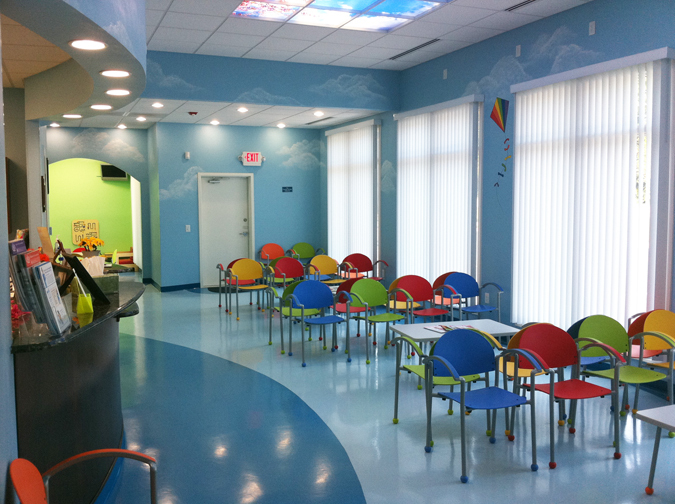 The space is so open with the blue painted walls and matching blue floors. 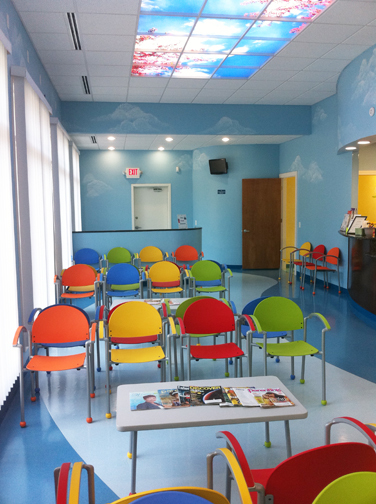 The skylight is a beautiful splash of color with an added interest point that takes the viewer’s eye to the top of the ceiling. 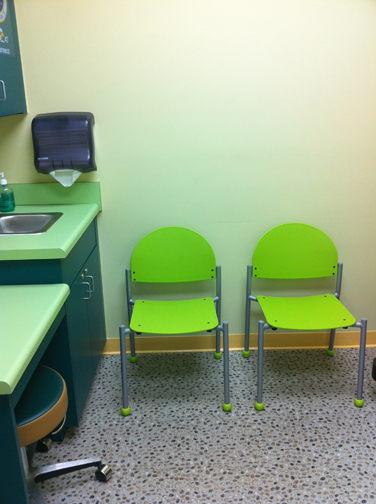 The Bola Chairs look so perfect in this setting and add all the color that this space needed.